Debbie Winn joins at least five other women across the state in historic mayoral victories. (Francisco Kjolseth | The Salt Lake Tribune) Lifelong Tooele resident Debbie Winn took the oath of office last week, becoming the city's first female mayor. In a packed ceremony last week, lifelong Tooele resident Debbie Winn took the oath of office to become the city’s first female mayor — a historic victory earned alongside at least five other women in cities across the state. 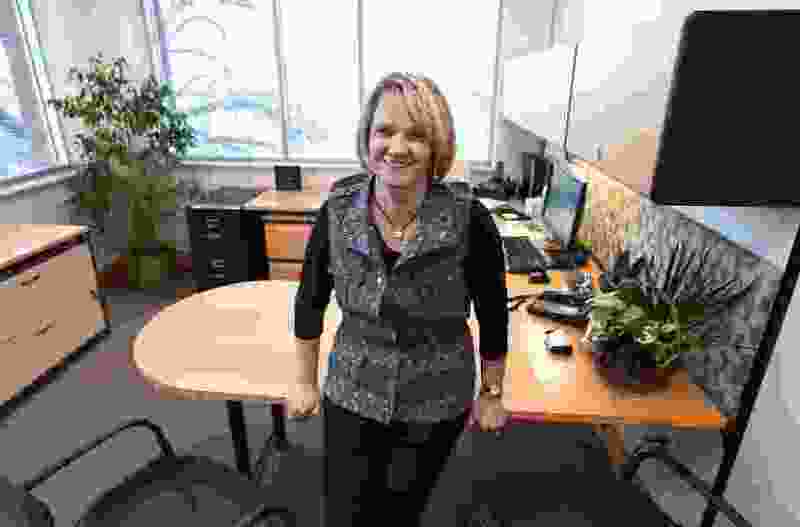 Previously, Winn served as the executive director of the Tooele County Chamber of Commerce for seven years and as a city councilwoman since 2013. She ran her campaign for mayor on the promise that she was not a politician but a public servant, and said it’s the prospect of helping others that drew her into city government. “The main reason that I wanted to run and I want to do for people is to make sure that the residents are served — that we listen to their concerns, that we involve them in our community,” she said. In the coming years, Winn said she hopes to see Tooele’s “bedroom community,” where there are many residential areas and fewer commercial ones, evolve to include more retail options that would increase revenue for the city and business opportunities for residents. She also wants to ensure the city takes care of its sometimes “forgotten residents.” Though she recently left her position at the Tooele Senior Center, she wants to see to it that elderly residents are taken care of. Along the Wasatch Front, at least four others were recently inaugurated as the first female mayors in their cities: Michelle Kaufusi in Provo, Dawn Ramsey in South Jordan, Julie Fullmer in Vineyard and Michelle Tait in Harrisville. Further south, Donia Jessop prevailed as both Hildale City’s first woman mayor and the first person elected to that position with no allegiance to the polygamous Fundamentalist Church of Jesus Christ of Latter-Day Saints. Erin Jemison, the staff lead for the YWCA on Real Women Run programming — a Utah-based nonpartisan initiative that looks to increase the number of women involved in politics at all levels — said the increasing numbers of women serving in and leading Utah’s city halls may be a sign of more change to come.